Máirín’s relationship with Dog’s Trust began when she came to us wanting to re-home a dog. She re-homed this beautiful little Pomeranian-type called Tico. He needed an extra-special home, with a really gentle and understanding owner that would help him, because it was clear that he’d had a difficult past. He came to us as an abandoned dog and he had some injuries. We were giving her a few options of dogs that would suit her, but when Tico was recommended she fell head over heels in love - and so did he! The staff at Dog's Trust mentioned the Canine Care Card to Mairín. A worry for people, particularly people who are by themselves with their animals, is what would happen to their dog if they passed away. Máirín signed up straight away for a free Canine Care Card. We invited her to be the face of the campaign and this is just such a beautiful photo that was captured. It really shows that relationship between people and their dogs. For Máirín it's all about peace of mind. It's about knowing that her best friend, her loved companion, her family member, will be looked after when she's gone. What it means for Tico, is that Dog's Trust will bring him into our care and find a Forever Home for him. Any dog who comes into our care gets any veterinary treatment that they need and is behaviourally assessed. As part of the Canine Care Card application, we ask a questionnaire on the dog so their owner can tell us about their favourite food or their favourite toy, about anything that makes them happy or anything that they're worried about, so that we can get to know them through the eyes of their owner and we can then get the dog ready for rehoming and hopefully get that dog into a new home soon. Some of the dogs have literally been with their person 24/7, so to suddenly not have them in their life, and then be in a new environment, can be quite overwhelming. We're always particularly conscious when we're handling dogs who have come in through the Canine Care Card scheme; that soft support, company, love and TLC... they need it even more. I really see the staff and the volunteers make an extra fuss over these dogs, knowing that they've been through such a period of change. When little Tico first came to Dog's Trust, he found getting handled in the veterinary environment quite stressful and he was shy getting to know new people. When Tico first went to Máirín to live, he was like a shadow of himself. He had injuries and had received a lot of treatment; we had to shave him back and his haircut left a little to be desired, so he wasn't looking his best! The relationship they have now, a few years down the line, is second-to-none and Máirín is so relieved to know that in the event of the worst happening, Tico would be well looked after by Dog's Trust. Before Barretstown I didn’t know if my four children would ever play together again. Going there changed that, and I am so grateful. Anyone who’s been through it knows that the fight to save your child’s life is all consuming; hospital visits, chemotherapy, operations, scans, radiation the list goes on. You’re constantly fighting. Fighting for your child who’s sick. But also, fighting to keep the show on the road. To keep your whole family together. The first time I cried was when the social worker in Crumlin told us about Barretstown. The minute she said it would help bring my children back together I broke down. A place where we could all be together and Seán would have all the support and expertise he needed onsite. I knew we needed to go there. My husband Kevin and I went straight to our local hospital, where the doctors knew almost immediately what was wrong. Seán had a tumour. He was only six years old and he had cancer. I felt the world collapsing around me. But that was just the first day in the very long and difficult journey that lay ahead. There were times when he told me, ‘I’m really scared mammy’. Those were terrible moments. I found it really hard to keep it together but I had to for Seán. To get him ready for surgery, Seán underwent four weeks of chemotherapy to shrink the tumour. Seeing my child go through so much pain and trauma was incredibly difficult. All I wanted to do was take his place, but I couldn’t. I could only hold his hand and tell him everything was going to be ok. I couldn’t let Seán see how scared I really was. I’ll never forget how vulnerable he looked after his surgery. He had wires and tubes coming from everywhere. He was relying on oxygen to breathe. It was the most miserable I’ve ever seen him. I saw a distance develop between Seán and his brothers. Thomas and Rory were becoming closer and closer as Seán was retreating further and further into himself. Before Barretstown I didn’t know if my four children would ever play together again. Going there changed that. 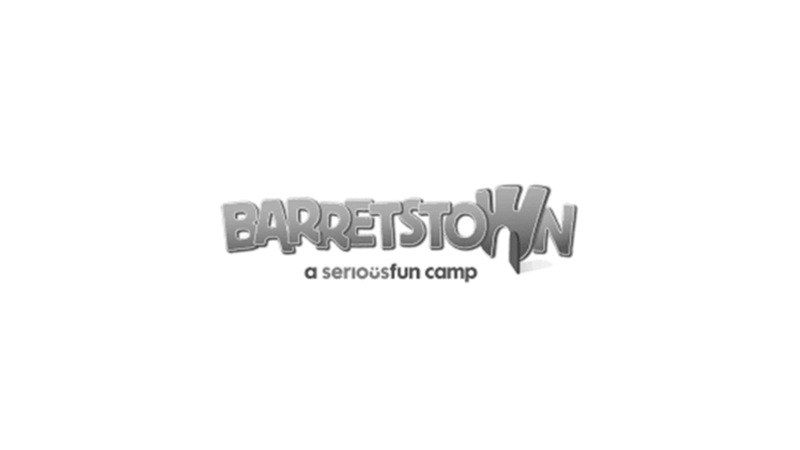 That’s the thing about Barretstown, no-one gets left out. And it was all happening in the safest environment possible that gave Kevin and me such peace of mind. We arrived in Barretstown a family exhausted and in pieces. We left a family who knew what it was to laugh again. Bernard is eight years old and has attended Children’s University Hospital Temple Street since he was a baby. Charities Institute Ireland spoke to Bernard’s dad, Bernard Snr. “Bernard has been on dialysis since he was born. He was born with renal failure and he was on home dialysis for a while but that didn’t really work out; he picked up infections. Then he was about four years on haemodialysis, which he had to travel to Temple Street for. We live out near Clifden in Galway so we had to travel to Dublin and back three times a week for bloods and check-ups. In December, Bernard got a new kidney from a donor. He had the transplant at Temple Street. It’s nerve wracking to be in that situation. The call came at about 2 o’clock in the morning so we had to get him up and head for Dublin. We got there around 7am and then he spent all day in theatre. On the call, Temple Street tried to keep us from being too nervous. They told us everything was going to be OK and gave us the proceedings for the day. Bernard was in hospital for about three weeks after the transplant and they monitored him carefully and kept his mood up too. The nurses are always in good form and they can get the Play Therapist to come and visit the kids too. If they’re down or cross she’ll come to them and play a game or bring them to the playroom. It’s been good for Bernard. They make it as homely as possible for the kids. Now, Bernard only has to travel to Temple Street for check-ups once every three weeks. 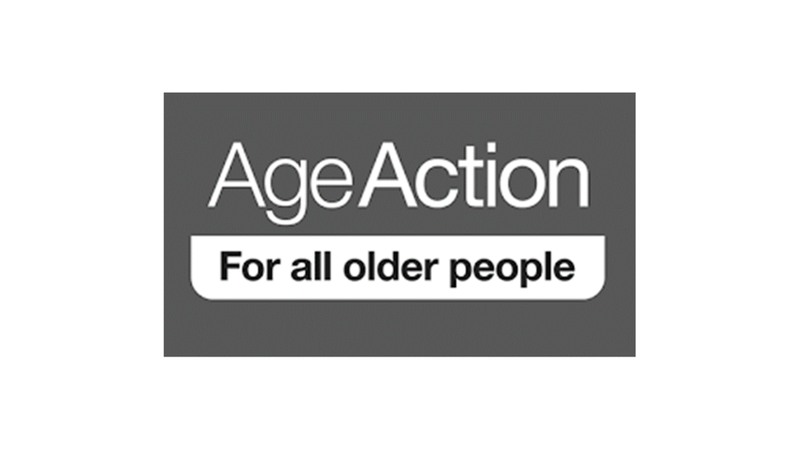 Robin Webster, Founder of Age Action Ireland, reflects on the charity’s momentous protest against the Government’s proposed withdrawal of the automatic right to medical cards for over 70s. “This was the first event of its kind that we organised and, I can say on behalf of the staff, that it was the members who pushed us into it. It was literally a mass movement of people protesting about the withdrawal of the automatic right to the medical card. We ended up having between 1600 - 1800 people marching that day. The really important thing about the event was that it was the members themselves that came up in their droves and, secondly, people were so engaged by it. The outstanding thing I remember was that all the men were putting their hands up wanting to speak. After a while I said, ‘Look, the majority of older people are women, let’s hear the women’, and a series of women came up to speak. All these women said, ‘You know, this is the first time I’ve ever spoken in public.’ And yet they did it. It was the solidarity that people felt stronger, and better able, because they were with other people as a movement. It was very exciting, and people still talk about being in ‘The Class of 2008’ - and our membership figures rose. It was one of those rare occasions where the Cabinet changes its mind at 11 o’clock in the morning, all because a group of older people were going to meet an hour later. It was extraordinary. Politicians and other groups continue to refer to ‘Westland Row’. We should do it more often to be honest. I work as Justice Co-ordinator for the Association of Leaders of Missionaries and Religious of Ireland (AMRI). Working with migrants, refugees and asylum seekers is one of the main areas of justice for AMRI. Irish people are undocumented in other parts of the world, particularly in the US, so for St. Patrick’s Day we wanted to collaborate with Migrant Rights Centre, who were hosting an event where the undocumented in Ireland were sending greetings to the undocumented in the US. We wanted to highlight the need for changes in our own legislation to protect the rights of undocumented people and to look for the introduction of a regularisation scheme to allow undocumented migrants the chance to come forward and regularise their situation. This photo was taken at that event which was held on the 16th March, 2017. We had 50 or 60 people outside the Central Bank in Dublin and the atmosphere was good – even though it was absolutely freezing cold! The people who came wanted to express that solidarity with the undocumented people, some of whom spoke on the evening. There are between 20,000 and 26,000 people undocumented in our own country. We are very good at looking for rights for our own undocumented people aboard, but we are not as good at recognising how unjustly we treat undocumented people in our own country. We tend to work for the rights of our little Irish community in the US, rather than proclaiming solidarity with all the people who are looking for pathways for citizenship throughout our world. So this event was about changing the Irish mindset to not just think of ourselves. When we think back to our own history, remembering that our people had to leave their homeland in search of a better life, we should be able to demonstrate greater solidarity with different groups of people who find themselves in the same situation as we have been, both in our past and today. This work moves you. I’m from Donegal and there are many from my own county who were and are undocumented people in the US. One of them made the news recently as he is going to be deported right now from Trump’s America. So, of course, it moves me; members of my family and people I know have been in that situation. I think all people have a right to move around the world in search of a better life. Trish and Gerry Kerr have been child sponsors since they got married, nearly 30 years ago. In May 2016 they visited the child they sponsor in Nepal in May 2016, at their own expense. Sujit, now 16, is the third child they sponsored and they have been sponsoring him for seven years. Through child sponsorship Trish and Gerry have taught their own children about the world, as well as funding the development of some of the most vulnerable communities in the world. On visiting the village of Dharmanagar, Nepal, Trish and Gerry were delighted not only to meet Sujit and see how he has benefited from being a sponsored child, but also to meet all members of the community who had benefited from child sponsorship. They were particularly struck by the women’s group ActionAid had set-up. By taking a human rights based approach ActionAid promotes the right to active, free and meaningful participation for all, it addresses discrimination and prioritises vulnerable groups and clarifies links between rights and duties, as well as the relationships between rights-holders (citizens) and duty-bearers (for example police, hospitals and legal systems). Creating local women’s groups and grassroots community groups are a fundamental part of this work. One woman who Trish and Gerry met from the lowest caste in Nepal had, through training and encouragement by ActionAid and the women’s group, gone on to become an elected member of the local government – she is now advocating to improve the lives of women, children and vulnerable groups in the wider community. This is one of countless examples of real and lasting change made by child sponsors, like Trish and Gerry, around the world. This image is so powerful; it shows children in a cosy home setting. It’s the perfect representation of love, warmth, safety and security; a scene that many take for granted. Crucially, our work always comes back to children like the ones in this photo. Parents work incredibly hard to shield their children from the effects and stress of homelessness. They want to make sure their children still have the best chance. We work with parents to make sure these children don’t fall behind in school, that they don't become stressed or develop problems with nutrition. If families are in a hotel room eating a meal together on the bed every day, this becomes the normal day to day routine for a child and that is not how family life should be. One of our customers fought for almost a year to get out of emergency accommodation and into a home. When this finally happened, her youngest child kept asking permission to go upstairs. He couldn’t remember living somewhere where he didn’t have to ask to leave a room. He didn’t know how to behave in his own home. For me, this photograph conveys the hope that we try to give to people. We stand in their corner. We act as their champion and we stick with them so they can build a safe and secure home for themselves and their children. Shannon is almost one and has been with us since she was born. Before her birth, her family knew that their baby would have a heart condition, preventing them from bringing her home to live with her parents and siblings. These sisters do not have a normal relationship, as a little girl and her baby sister should. For a long time, Rihanna couldn’t really touch Shannon, or hug her. But during the time that the girls spent here together, I saw a bond developing between them. I watched how fond they were becoming of one another. Rihanna is nine now, she is such a lovely little girl. She gets so excited to see her little sister, at the weekends and during school holidays. At the start, Shannon wasn't really aware of what was happening around her. But Rihanna was so patient, she would just sit by her side and chat and talk to her baby sister. I think Rihanna sees me as the fun one; she likes to come and see me, because she knows I am the one who has the key to the toy box! But through this, we often end up chatting, talking about school and stuff like that. I can tell she is happy to be here with her family. It’s very hard, to see families being separated sometimes. But then when they arrive, the excitement they feel at being brought together again is so positive. We try to focus on the positives of these stories. I have become so used to seeing certain little faces coming into us. It's almost like having extended family members around. The whole idea is to keep the kids together and to keep families close.